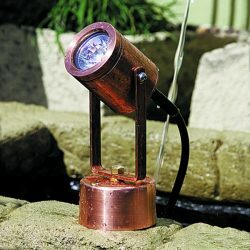 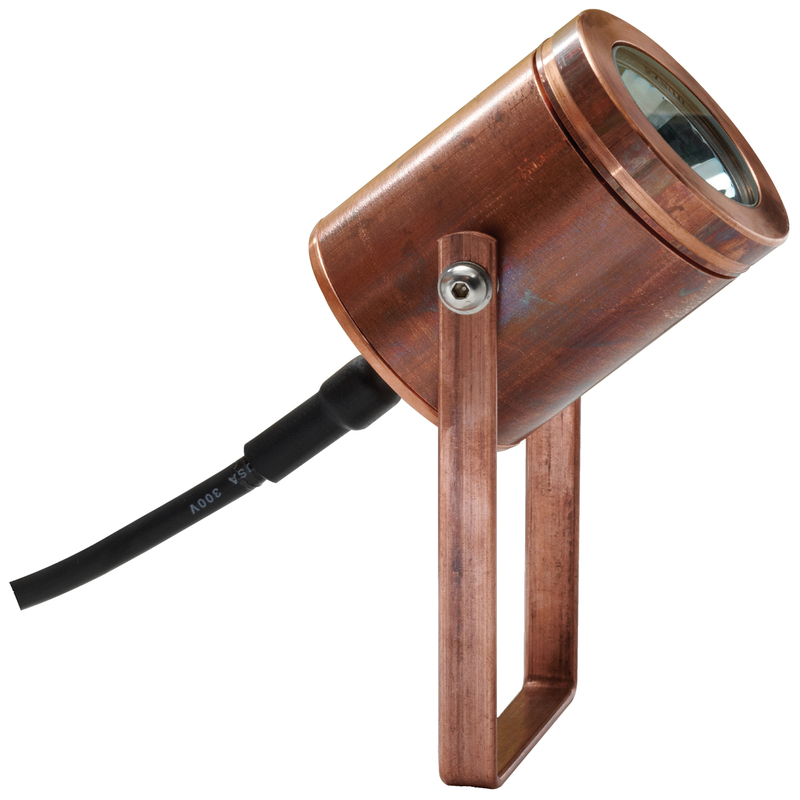 The Pond light is fully submersible and is adjustable on two planes. A version with a weighted base is available allowing the luminaire to be placed in the pond without drilling fixing holes to mount it. 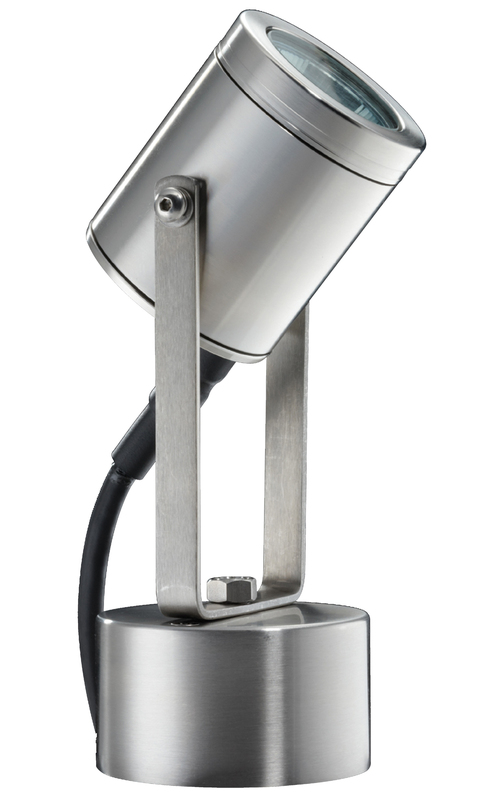 Tested and approved to IP68. 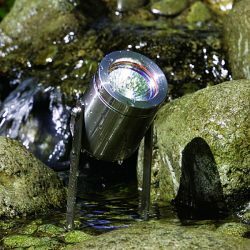 A Pond Lite can be used also to light a waterfall creating a lively water effect and adding a dramatic feel to the scene. 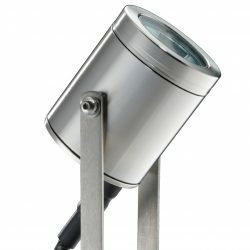 Machined from 10mm thick aluminium with a UV stable powder coated finish (standard colours green, matt black, silver and white) or machined from solid copper or 316 stainless steel, stainless steel cap screws, clear tempered glass lens and high temperature silicon gaskets and is complete with three metres of submersible cable (other lengths available on request).